Moody's cuts Sony's credit rating over TV business concerns | What Hi-Fi? Moody's has announced that it has downgraded the credit rating of Sony Corporation to "junk" status as a result of the "challenges" facing the company's TV and PC businesses. According to the credit ratings agency, the TV and PC arms of the Japanese electronics giant face stiff competition from rival manufacturers and rapid technological changes. The agency said Sony's overall profitability will remain "weak and volatile" going forward due to earnings pressure affecting most of its core consumer electronics businesses. Sony has already implemented restructuring measures such as a reduction of fixed costs for its TV businesses, which have helped reduce losses in its home entertainment arm. Moody's said it remained concerned, however, at how long it was taking for the measures to boost performance and return the Home Entertainment & Sound and Mobile Products & Communications segments to "robust profit levels". 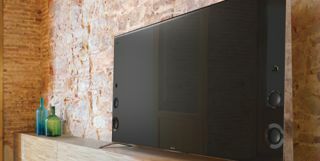 The news comes just a few weeks after Sony launched its new range of Ultra HD 4K TVs, Blu-ray players and soundbars for 2014 at the International Consumer Electronics Show (CES) in Las Vegas, US. Sony's TV ranges this year are dominated by Ultra HD 4K sets – such as a new flagship, 85in X95 model. Full HD series also feature prominently, with new W95 and W85 ranges on the horizon.